Crystal River Cruises is redefining the European river experience, with the most spacious, state-of-the-art fleet of River Ships on the continent. Every aspect of your Crystal sojourn is carefully crafted to provide an unparalleled experience with award-winning, six-star service, all-inclusive amenities, an abundance of overnight stays for more immersive exploration, and expertly curated shoreside excursions. 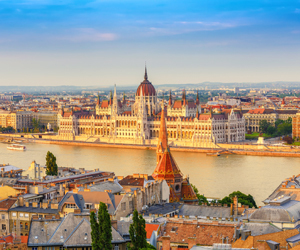 Together, they deliver an elevated, highly personalized experience unlike any river cruise that’s come before. For reservations and information, please contact Preferred Travel of Naples at 239-261-1177 or email WGCU@preferrednaples.com. Preferred Travel of Naples is proud to support WGCU. A contribution to WGCU will be made in your name with any new booking of this trip made through Preferred Travel of Naples.